Supervisor Grewal views her primary responsibility as being available to serve all residents and setting the Gold Standard in Public Service. 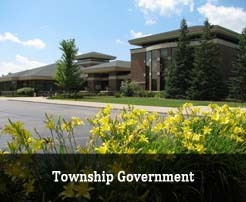 As the lead elected official, the Supervisor is often the one contacted by the public to resolve problems, handle complaints, and explain township policies and services. As such, you should consider Supervisor as the public contact for Pittsfield Charter Township. Mandy Grewal has been serving as Supervisor of Pittsfield Charter Township since November 2008. A 25+ year resident of Pittsfield Township, she is privileged to give back to her community by way of instituting and implementing a master plan vision that is committed to celebrating community by promoting agricultural and open space preservation, public gathering spaces, multi-modal transportation, historic and cultural diversity, infill and mixed-use development. Grewal is Chair of the Pittsfield Township Board of Trustees and serves on the Executive Committee for Ann Arbor SPARK where she is Co-Chair of the Public Sector Committee. She serves as Vice-Chair of the Southeast Michigan Council of Governments (SEMCOG) where she is also a member of both the Executive Committee and the Finance & Budget Committee. Grewal also serves on the boards for Therapeutic Riding, Inc., and the Huron River Watershed Council. She also represents Pittsfield Charter Township on many committees including the Chief Executive Officers of Washtenaw County, Washtenaw Area Transportation Study Policy Committee, Urban County Executive Committee, Washtenaw Metro Alliance, and the Washtenaw County Affordable Housing Leadership Committee. Supervisor Grewal was awarded Outstanding Community Leader by the Michigan Chapter of the American Planning Association in fall 2018. She was also recognized as Volunteer of the Year by Ann Arbor SPARK in spring 2018. Prior to being Supervisor, Grewal served two terms as Washtenaw County Commissioner representing Pittsfield Township during which time she was appointed Vice-Chair of the Washtenaw County Board of Commissioners and Chair of the Washtenaw County Planning Advisory Board. 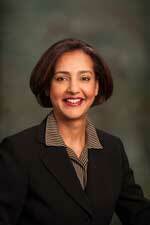 Grewal has also served as a Commissioner on the Michigan Women’s Commission. Grewal has a Ph.D. in Urban Planning from the University of Michigan. She is also a graduate of the Michigan State University’s Political Leadership Program and a graduate of the Senior Executives in Local Government program at Harvard University’s Kennedy School of Government. Supervisor Grewal, serving as the de-facto director of planning, has initiated, overseen and implemented multiple planning projects beginning with the 2010 Pittsfield Master Plan, which was the township's first broad-based public engagement process (2009-2011) designed to articulate a vision for our community. The vision, aimed at striking a balance between preservation and development, spurred the first comprehensive revision of the Zoning Ordinance in many decades. After gaining some experience with implementing priorities outlined in the Master Plan, Supervisor Grewal kicked-off the 2020 Vision planning process in October 2015. 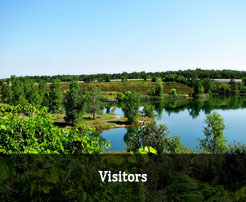 The objective of this community planning process was to update the Master Plan and revise the Parks & Recreation Plan such that both documents are synchronized and convey a cohesive, unified vision for Pittsfield Township. 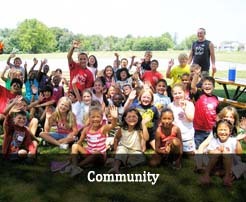 Adopted in 2017, the 2020 Sustainable Vision Master Plan aims to hard code sustainability into the DNA of Pittsfield Township's work processes and protocols. These pro-active planning and public engagement strategies have helped define project initiatives and priorities, some of which include establishment of: (a) a robust multi-modal transportation network; (b) farmers market; (c) public art program; (d) rain garden; (e) historical districts; (f) infill development; (g) land preservation; (h) high-speed fiber connectivity; (i) recycling; and (j) public events such as Harvest Festival and P2P. The Supervisor has specific responsibilities which are either defined by state statute or by Township Board of Trustees policies. State law mandates that the Supervisor along with the rest of the Township Board of Trustees be elected in partisan elections for four-year terms, which are consistent with the presidential election cycle. The Supervisor has the responsibility to create and present the annual budget, approve the agenda for each Township Board of Trustees meeting, and appoint (with board approval) members of the Planning Commission and other Pittsfield Charter Township boards, committees, and commissions. 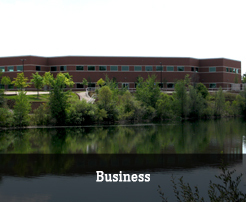 Where can I apply for a position with Pittsfield Charter Township? Does Pittsfield Charter Township require a criminal background or credit check before hiring a prospective employee?